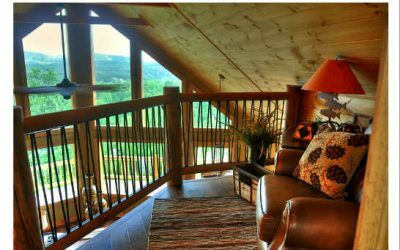 Log railing pictures can give you ideas for your new log or timber frame home. 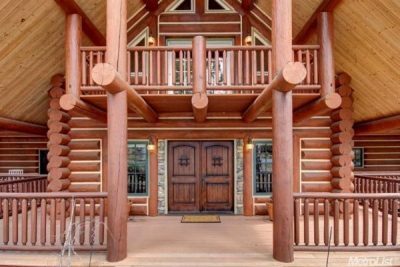 I think it really helps to see pictures of features before you make a decision on including it in your log home plans. 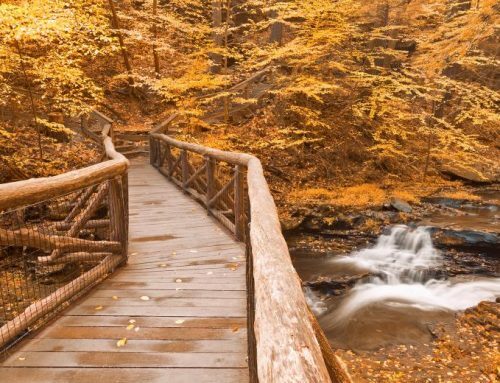 I’ve chosen some log railing pictures that I thought were especially attractive or very creative, so that you will have some styles to choose from. 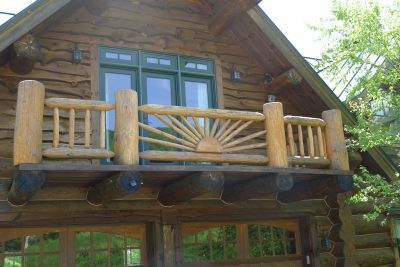 A log railing can be massive, depending on where you use it. 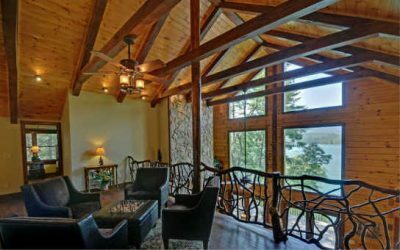 This large log home has a log railing at its dramatic entry, and it works very well. 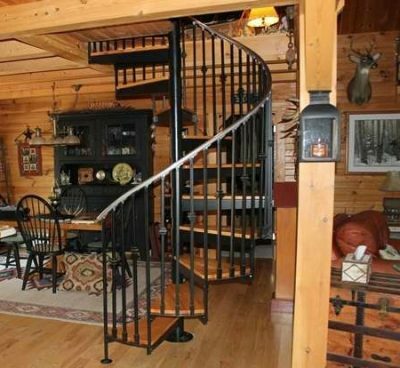 I thought this was an interesting and creative approach to log railing and stairs. If you look closely, you’ll notice that the half round stairs extend beyond the railing. The extensions are used as little shelves, to display collectibles and plants. 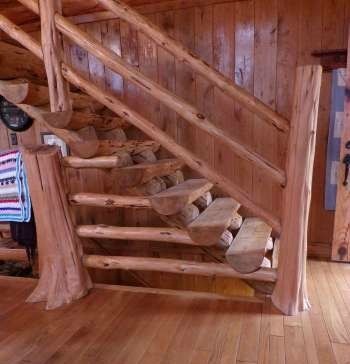 Of course you don’t always have to use wood for your stairway. In this case the staircase is a circular wrought iron staircase. Circular stairs save space, in addition to being attractive and decorative. 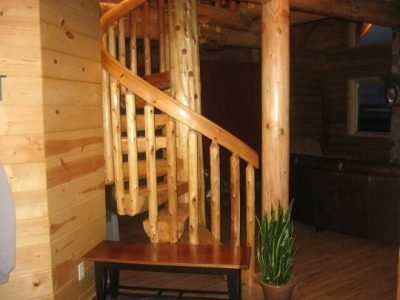 The log railing in this log home uses smaller diameter logs for the railing. 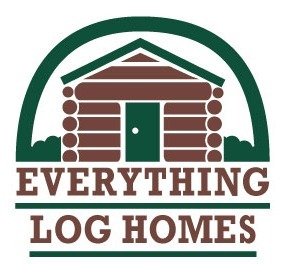 This complements the logs used in the home. 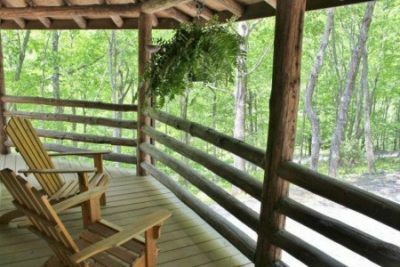 Note that interior walls have flat sided logs that contrast with the round logs in the railing. 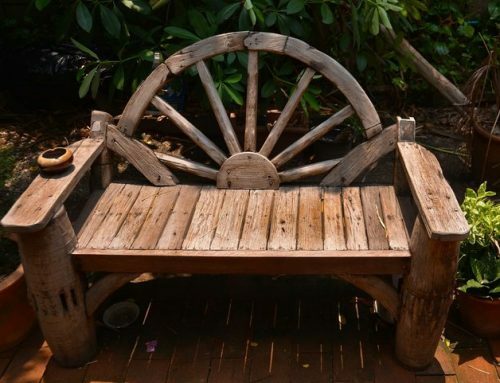 This log railing features horizontal logs used as rails. 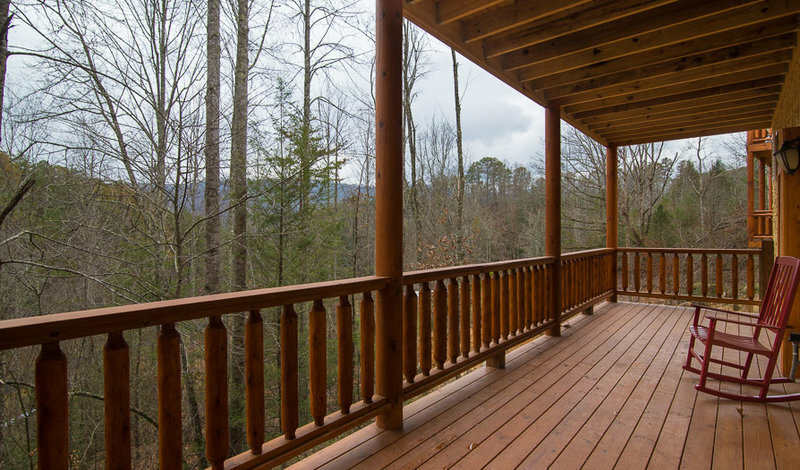 Sitting on this porch gives you the feeling that you are connected to the forest, just beyond the porch. It is a very natural and green approach. Of course you don’t have to limit yourself to just posts and rails. This adorable carved raccoon is set into a decorative log post. It is truly a work of art. Note the half round and very solid looking, stairs in the background. 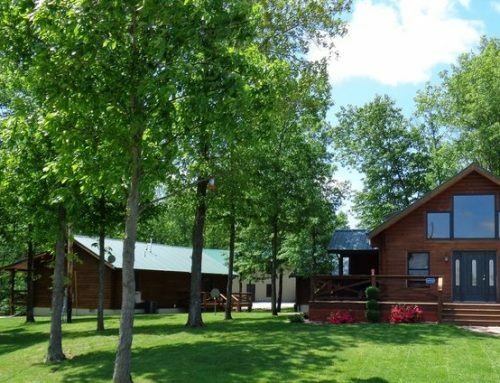 Are you a tree lover? This interesting stairway uses trees as posts, giving you the feeling that the inside and outside are one. A creative, primitive and very unusual look. 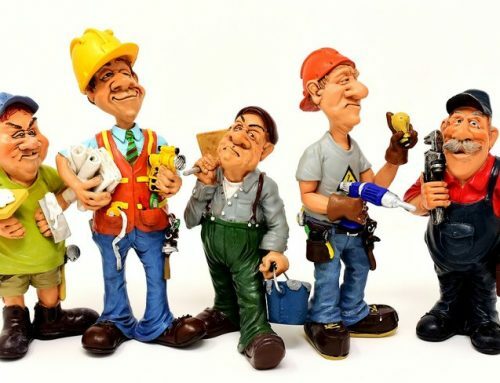 Here’s a way to add interest to an area that might be just ho-hum. 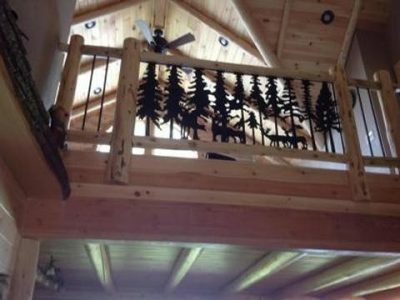 This log home railing has a wrought iron forest scene on the railing, making the area now a work of art! 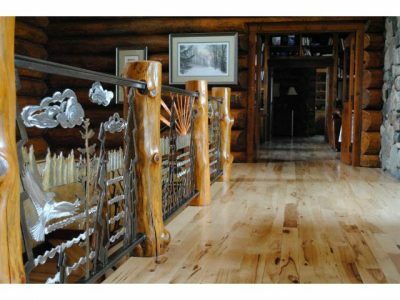 In your log home, you can use the whole railing as a work of art, as seen here. This is quite dramatic and it turns a functional railing into a whole wall of artistic expression. 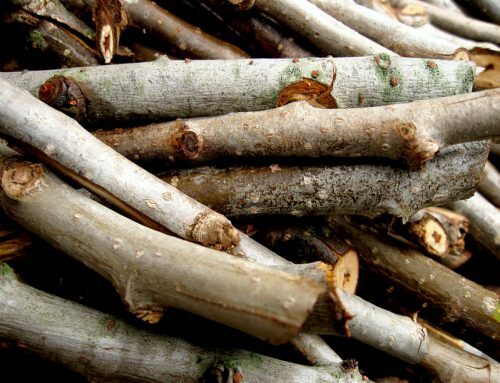 Twigs have traditionally been used in log homes for years. You can be creative and artistic in your design, and every log railing made with twigs will, of course, be unique. 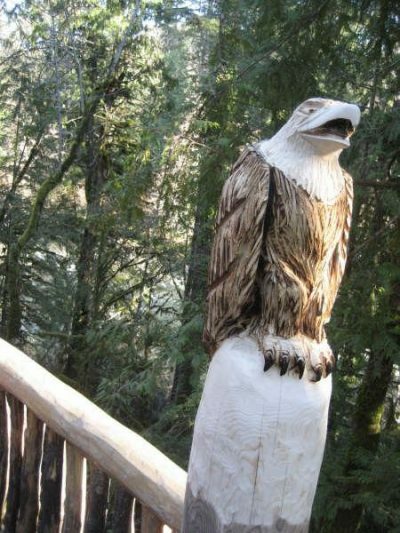 Someone has cleverly added a design in logs to this railing. A simple but creative change from the common log railing.